The rollout of wireless internet access for underserved rural areas of the world is going to be a very significant development opportunity in years to come. Companies like NuRAN Wireless Inc. (CA:NUR – $0.06 & US:NRRWF – $0.04 & GER:1RN – €0.03), that are participating to build the infrastructure for these networks, are bound to secure long term profitable operations during this phase. As a preferred supplier of equipment ideally suited for this business model, NuRAN is well positioned for international growth due to its relationship with organizations such as African Mobile Networks (AMN). NuRAN has developed a technology platform that is ideal for smaller market opportunities, where the system capabilities and cost advantages make its equipment the optimum choice for targeted service providers. This strategy towards smaller niche markets has led to new contracts for wireless network systems in the more competitive North American market. This week, NuRAN reported securing new sales contracts with a combined value of more than $1 million, for equipment and engineering services. As the order book of contracts will mostly be fulfilled in the first half of 2019, this will generate quarterly revenue growth and improved financial results that can support a higher market value for the shares of this Company. A first component of these sales were orders from research centers based in the United States, Europe, and Australia. In addition, the Company received an order from Sofie Biosciences. All these contracts were tendered to Nutaq, which is a wholly owned subsidiary of NuRAN and a leading provider of advanced digital signal processing solutions and wireless technologies. 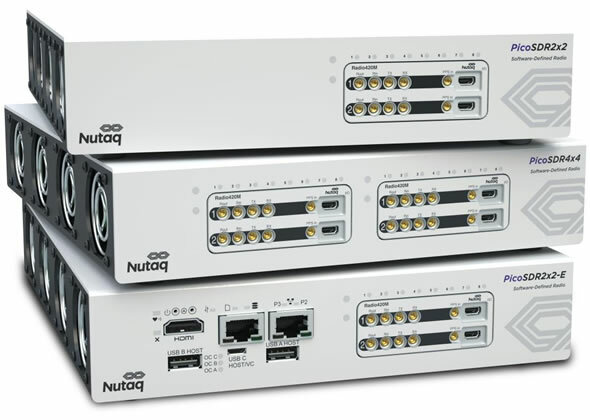 A set of Nutaq Software-Defined Radios (SDRs), which are radio communication systems where components that have been traditionally implemented in hardware (e.g. amplifiers, modulators/demodulators, etc.) are instead implemented by means of software on an embedded system. Another new client order was for NuRAN equipment to a significant undisclosed global social media company. Given that the social media subsector is dominated by a small number of high-profile companies, chances are high that this contract was issued by Facebook, as it has already indicated on several occasions that one of its corporate objectives is to provide internet access for people in underdeveloped areas of the world. Securing one order from a large client may establish inroads for repeat business opportunities in the future and this could represent another positive growth element for the Company as more disclosure is confirmed and additional business is secured. Recurring sales were also reported, as a subsequent purchase for NuRAN wireless equipment was awarded by AMN as part of the ongoing contract related to the rural wireless network development program in Africa. With the plan to expand this program into at least five countries, requiring at least 3000 network sites in the coverage area, the potential for future contract awards with this important multinational wireless provider should build further growth in the months ahead. These new sales orders are important for the overall growth aspirations of NuRAN. They demonstrate that the high value product lines developed by the Company are in demand by worldwide corporate clients. This greater diversity of technological innovation, and the growing clientele for the Company overall, provides shareholders with a much more resilient business model than would otherwise be in place if NuRAN was entirely dependent on the success of just one large contract in Africa. The ability to develop new technology and attract new clients, with the potential for repeat business and recurring sales, therefore enables the framework for a much stronger growth model. NuRAN, along with its subsidiary Nutaq, is demonstrating that it may compete with established technology providers in its sector, and is capable of winning important contracts with significant players in the international market. In effect, each new sale is an indication of the superiority of its proprietary product line and range of services in this dynamic sector. Looking forward to 2019, this success is building the order book for a very active and profitable year. The development of effective technology is just one critical element for the Company. Achieving sales breakthroughs with large established clients can be profoundly difficult for an emerging technology story like NuRAN, and therefore the string of significant sales reported this month is itself a very positive indicator for the future. Recommendation: BUY.